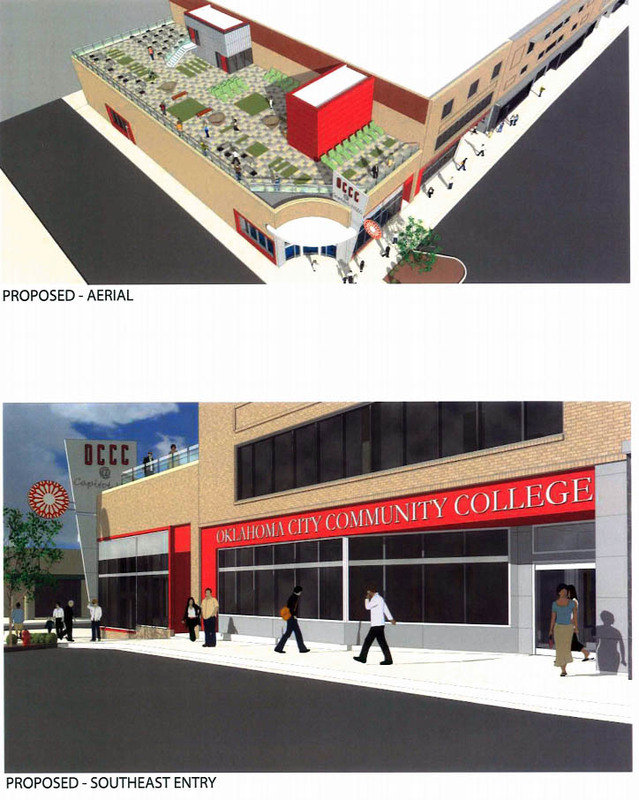 Several years ago Oklahoma City Community College (OCCC) bought two buildings in the middle of downtown Capitol Hill. The buildings have been empty dating back before their purchase. Now, the school has just revealed plans to completely remodel the structures and offer a wide array of classes. 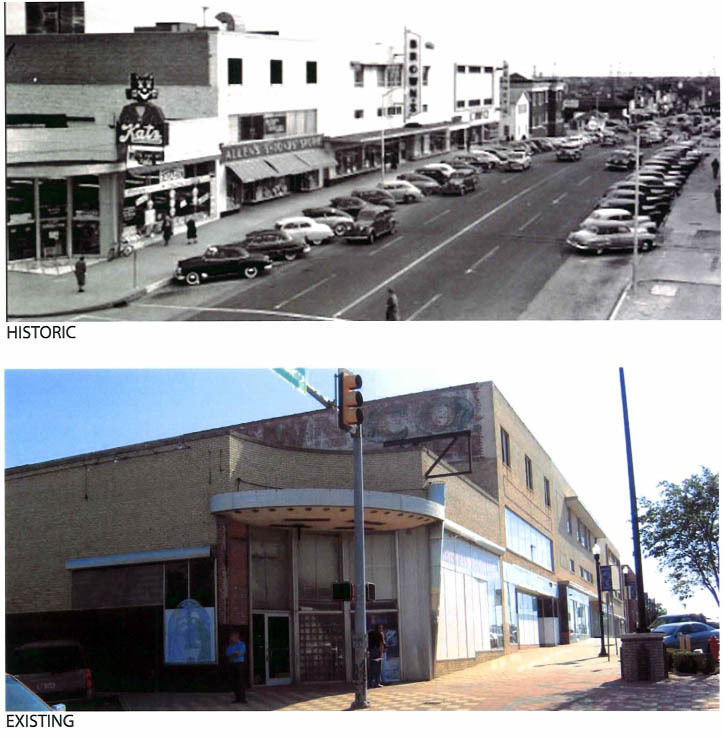 The east building was built in the 1940's and was first home to Allen 5-10-15 Store, and then Langston's. Later, the building for Kat's Drug Store was constructed to the west. 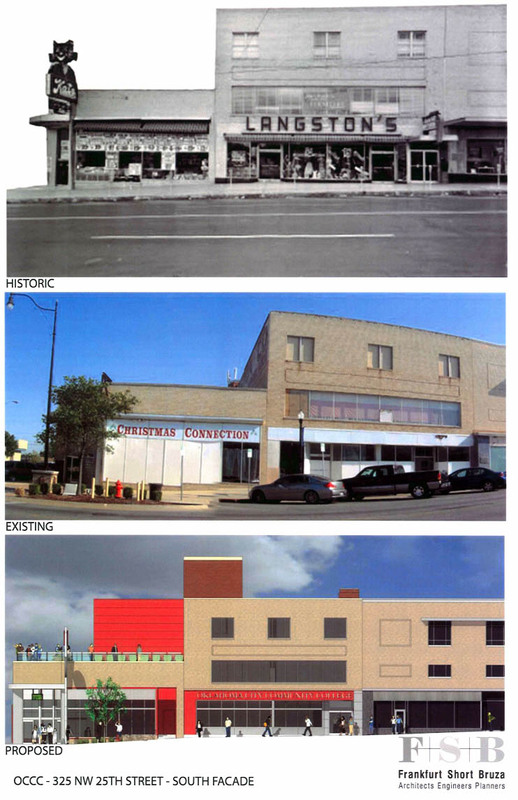 The ambitious renovation plans call for the remake of both buildings, a space of 27,919 square feet. There will be a large rooftop patio atop the entire western building. To the immediate east is the former John A. Brown department store which is now home to the Community Action Partnership. This should be a huge catalyst for Capitol Hill. This district has sooo much potential and maybe this and the Wheeler District will really get the ball rolling. Glad to hear that OCCC extends its branch. The education options beyond high school by schools like Langston University, OSU, OU and UCO brings some classes of high interest to the inner city. I agree, very nice repurposing for that building. I agree with everything Pete said. Capital Hill is by far the biggest hidden gem in our city just begging to blow up. Get the street car down there & Capital Hill has more potential than the Plaza District. YES. I always hoped this building would become a theater, but this works as well, and realistically probably requires less public participation (ironically). I always thought this building was the most important piece of the puzzle for Capitol Hill. I wonder if that Katz sign has survived. Wouldn't it be cool to see it resurrected! Seems like this could really be a great catalyst for development in the area. Love it. 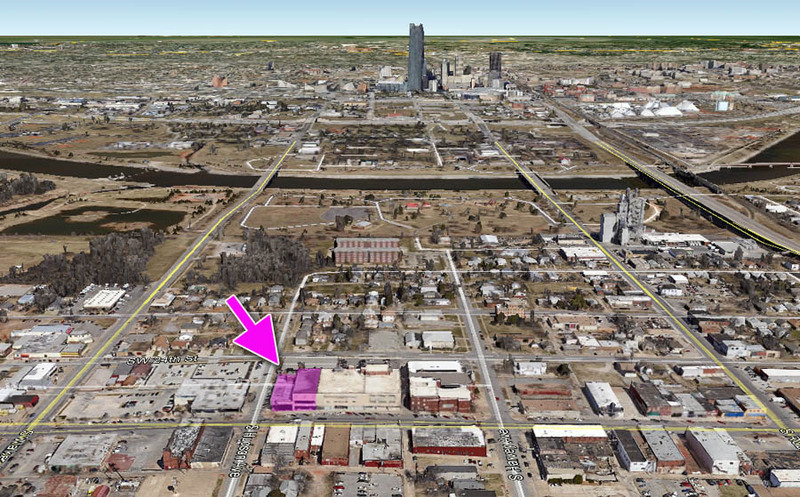 One problem: Do their renderings say NW 25th st? Obviously just a mistake, but considering how the SW area is ignored in comparison with the NW area it's kind of symbolic... Obviously not a big deal. Is this the same complex where John A. Brown's in Capitol Hill use to be? Yes, that what it says in the first post. This is awesome! This area should prioritized for pedestrians and nothing else. The street car extension will be incredible. Can't wait for this!!!!!!!! Love the whole thing. OCCC is really a great community college. I'm finishing my last semester at the main campus until December, then I'm either enlisting, moving to Cali, or finding a major university somewhere. This will be great and I love the way it looks. Capitol Hill is going to be an awesome district. I only explored it last year and realized how cool it was. Not sure how other community colleges around the nation rank up, but O trip is a great school. I think safety would be a concern of mine. Last time I drove down there I thought I was going to get shot. Granted I'm all for bettering the area. I just wonder if it's going to end up graffitied like the new playground was. Why? Because its predominantly Hispanic? A decade ago people probably would have said the same thing about the Plaza district. Revitalization has to start somewhere. Where I drove was lots of abandoned or run down buildings, very dirty, derelict cars, etc. I have no idea what the primary racial makeup of this area is, what I do know is the gang task force spends lots of time in the area, and it has been featured on one of those gang shows on Discovery or TLC. Agreed, that's why I think safety should be an important factory here. I went to OCU, graduated in 2002, the Lyric office opened in 2007 and I was told everyone's cars were broken into at least once every couple of months. I think there can be change in CH, but people have to have visions (much like the Struble's, Steve Mason, etc) on what it could become. Yes, CH needs a guardian angel who is willing to jump start the redevelopment. My family has lived on the southside, since the '40s . We actually live in the house next door to where my mother grew up. She knows both Pete and Mike White and they both babysat her. Ranting empirical history aside, I am beyond stoked to see this. Great plans and I love that it's educational. Which equals college students walking around the district and infusing a whole new demographic to the area. Echoing others, Capitol Hill is one of our larger, more intact urban districts and has far more potential than say Western, Plaza, or the Paseo. This will be interesting to watch.